OMX that provides an end-to-end Magento development services. 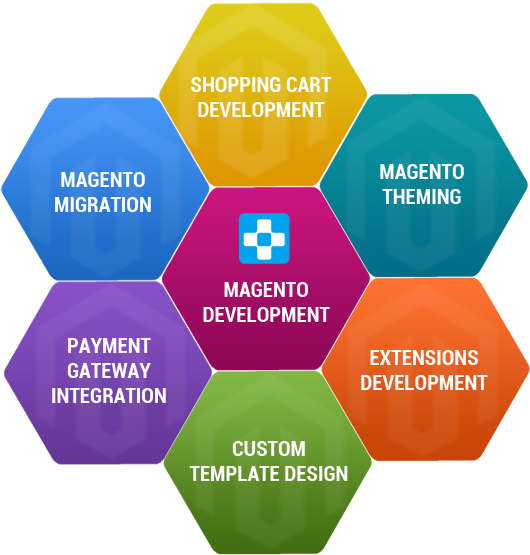 We have a center of excellence for Magento development services with a team of dedicated and experienced developers. Magento is a well-known content management and E-commerce system along with some advanced features. In today’s internet realm, a large number of people are dependent on the internet in order to do business. In this tough competition, Magento gained a lot of excellence and popularity and presented itself as the most preferred system. We are aware about the hard competition, which is prevailing in the market. So, we understand that the work should be done with full professionalism and perfection to stand out as a unique website. Our developers make use of the latest technology and remain updated with the newest versions of Magento. Our developers do their work with complete perfection, which is a key to our success and so, we are popular as an expert PSD to custom Magento development service provider. We are armed with state-of-the-art technology to process custom Magento development prolifically that can extend business reach. In order to enhance business brand, our custom Magento development team sets the web pages according to the business standard.